The fall is a great time to travel. In many places, the leaves are changing, the weather is getting cooler, and there are tons of fun events going on. We’ve been stuck in the house a bit and itching to get out, which had us thinking about good daycation ideas. What Makes a Good Daycation? 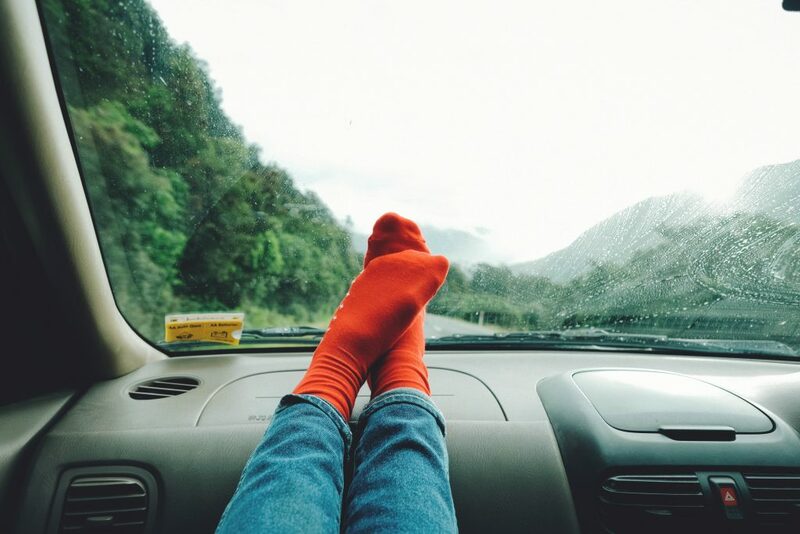 A daycation needs to be about a 3-hour drive or less away from your home. Anything more and you’ll likely need to stay overnight, making it more than a day. In Charlotte, there are a ton of possible daycation ideas. We are only about 3 hours from the beach and 2 hours from the mountains, making both a possibility for a day trip. However, even if that’s not the case, you can probably find plenty of spots to take a trip away from your regular day-to-day life. So, turn off Netflix this weekend, and consider planning one of these daycations for yourself! Most cities have parks with trails and, in some cases, you’ll even be able to find hiking trails in the mountains if you are closer to a mountainous region. This costs little-to-nothing. You’ll only need your hiking supplies. To find trails near you can simply Google “hiking trails near me” or enter your zip code here to see what options you have. Be sure to pack water, snacks, and other essentials any time you’re headed out for a hike. Even if you don’t live in a big city, you can travel to the nearest metropolitan area and do what tourists do. Take public transit, visit monuments and museums, and see the “must-see” spots. All you’ll need to do to discover what tourist attractions there are is visit the city’s website and search for their tourism section. Local parks are a great way to spend your daycation. Google parks near me to find parks you’ve not visited before. You can also choose to drive an hour or two away and search for parks there if you’d like a real change in scenery. Not to mention, most parks are open to the public completely free of charge. You’ll only need to pack yourself some lunch and drinks. Many cities have visitors bureaus. Consider visiting yours to see what free tourist attractions are available in the area. Each of these can provide a great opportunity for a day trip. For instance, where my family lives in Pennsylvania the 9/11 memorial is about an hour away. It is a beautiful drive and they add something new to the memorial almost every year it seems. More towns and cities have had breweries opening up. Consider taking a taste tour of your local breweries. Although this isn’t free, you’ll be able to get away fairly cheap. Most local breweries have pretty fair prices. Remember to plan to have the money for a ride home and in between bars though – don’t drive and drive! Most importantly, no matter which of these daycation ideas you choose, don’t go over your budget. If you are looking for something completely free, don’t waiver from that. The same can be said if you only have a $200 budget for the day. Set a budget, stick to it, and enjoy your daycation! Do you have any great daycation ideas to add to the list? Let us know in the comments below.